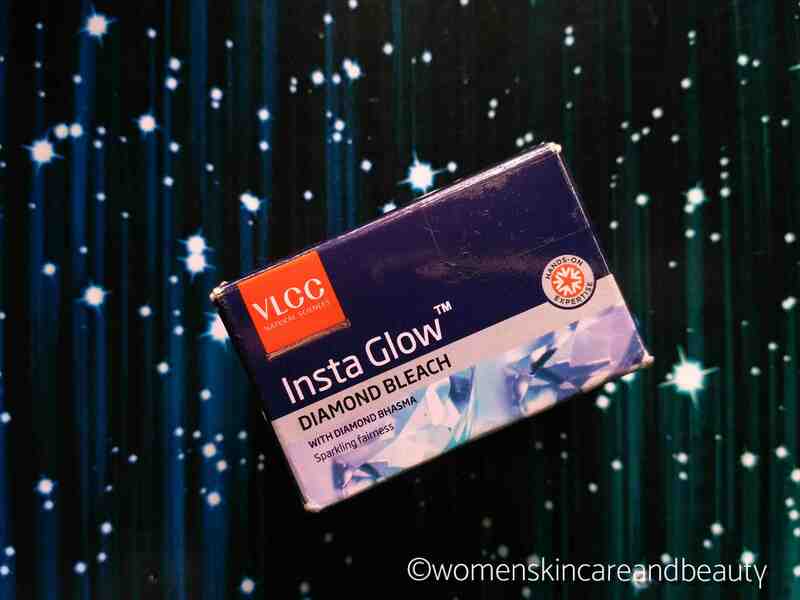 DESCRIPTION: Insta glow diamond bleach with diamond bhasma for sparkling fairness. The unique Instaglow bleach enriched with goodness of diamond bhasma that gives you sparkling fairness instantly and detoxifies your skin, aloe Vera extracts rehydrates the skin instantly and keeps your radiance intact. 1. Wash the area to be bleached with soap and cold water, pat dry. 2. Apply entire quantity of pre bleach cream or use small quantity of cold cream, massage gently till it gets absorbed. 3. 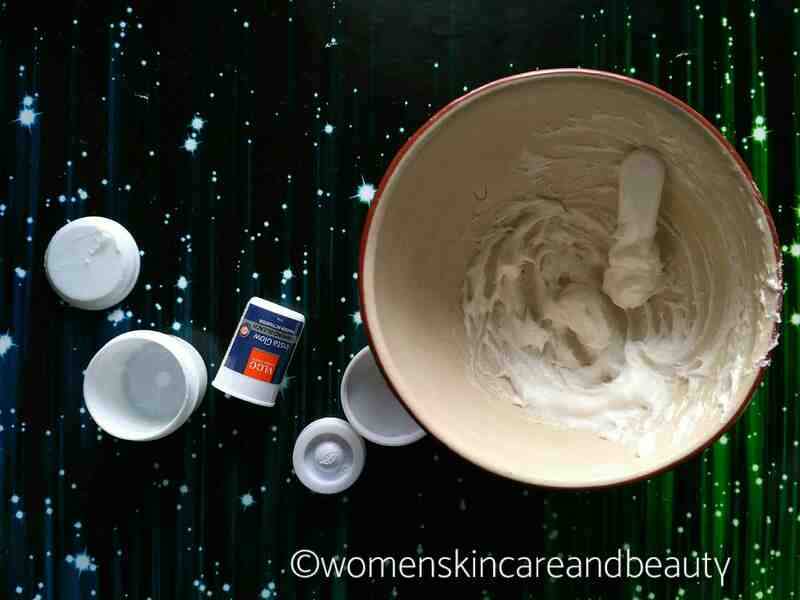 Mix the contents of cream and powder activator in the ratio (10:1) of 10g cream with 1g of activator powder thoroughly until powder gets dissolved into cream. 4. Apply the mixture on the skin to be bleached using plastic spatula, make sure that hair are completely covered by mixture. Avoid application of bleach around eyes contour, eyebrows and eyelids. 5. Allow application for not more than 15 minutes. Choose the application time depending on your skin tone, for darker skin tone upto 10 minutes​ and for fairer skin tone upto 15 minutes. If hair tone is not lightened as much as desired, re apply the mixture for not more than 5 minutes. Mild irritation is normal during bleaching, if it starts itching or burning, remove it immediately. 6. Wash of the area with cold water and pat dry. Don’t use any soap for atleast 5 hours. 7. Apply a thin layer of post bleach pack, leave it on for 5 minutes and then Massage it gently until it’s completely absorbed. 8. Avoid going out in sunlight immediately​. For better results apply in the evening. BLEACH CREAM- Glycerin, poluquaternium compound, hydrogen peroxide, aloevera powder. POWDER ACTIVATOR- Diamond bhasma, ammonium bicarbonate, mica, aluminium starch octenylsuccinate. 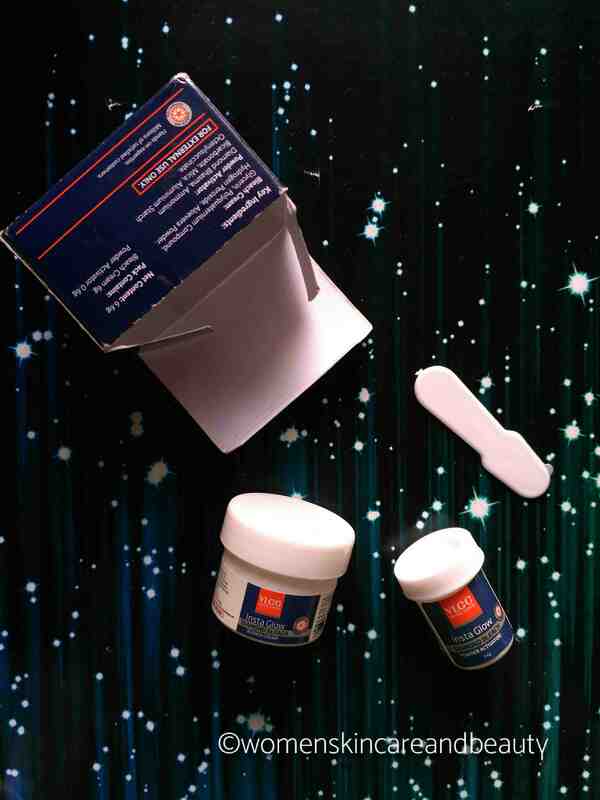 COST: INR 35 for 6.6g(6g Bleach cream, 0.6g powder activator); Bigger sizes available. The box contains an instruction manual on how to use the bleach, the bleach cream, the powder activator and the pre and post bleach cream/gels.. I kept the bleach on for about 13 to 15 minutes (As I have a wheatish skin tone!) and thereafter removed it by rinsing it with cold water! I don’t have much of facial hair( And whatever I have, I get it removed by threading), so can’t really comment much on the effectiveness of this Bleach in lightening the facial hair..
1. Inexpensive and easily available. You can buy it from here! 2. Travel​ friendly sizes available. 3. Comparatively milder than bleaches from other brands. 4. Does lighten the tan, but it is hardly noticeable. 5. Might lighten the color of facial hair. 6. Doesn’t​ dry out the skin completely. 7. Doesn’t break out the skin. 1. Pre and post bleach cream/gels are not provided along smaller/one time use packs. I like VLCC products but I never used VLCC bleach. Thanks for the review. Dont use bleach .It doesnt suit me .Thanks for a balanced review. That’s a very honest review here Mrinal, you are brave to share the opinion not all do that. At times yes bleaches do not suit the skin type and it’s good to share with the users. I don’t use bleaches but I was planning to try this after watchingYouTuber reviews and ads. But you saved my money Mrinal! I Luv vlcc as a brand…its very promising one… Sad it didn’t work for you! Vlcc is indeed a good brand.. i love it’s lavang moisturiser! I find ready to mix bleaches my saviour for any impromptu outing. This one certainly looks quite okayish. Would like to try this sometime. Well by the way you JUGAAD is too cool. 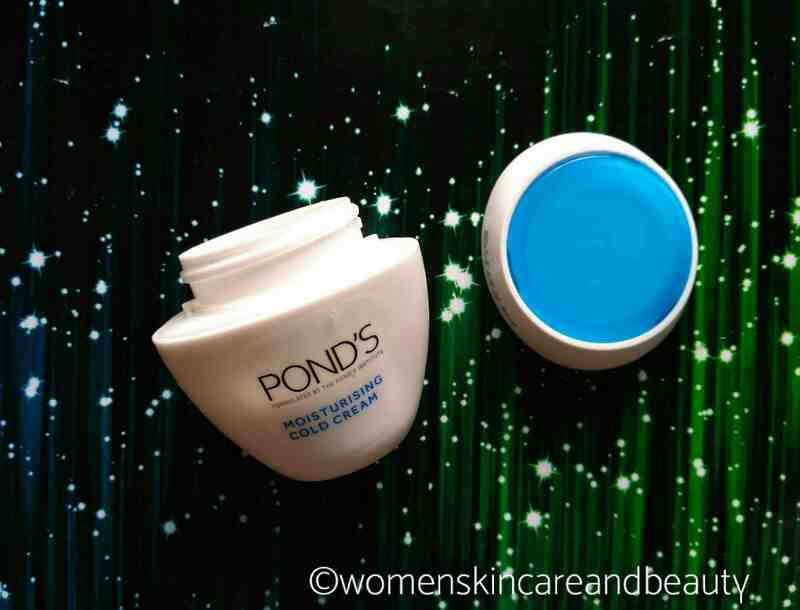 I use Pond’s cold cream for almost everything. I don’t typically prefer using bleaches and even I feel like this is a dud product. I have used this bleach as well and didn’t have a great experience. It’s just a name VLCC due to which I had bought this one. But I would prefer buying gold bleach aby natures. They have good products. I also bought it for the name VLCC.. 😛 Thanks for suggesting the nature’s one… Will try! True that I have also used this bleach thinking that it is ‘Diamond’ bleach so something very good effect on face but alas! Bleach is a tough thing to choose and I’m glad you gave an honest review. I have facial hair and hence use only tried and tested products. 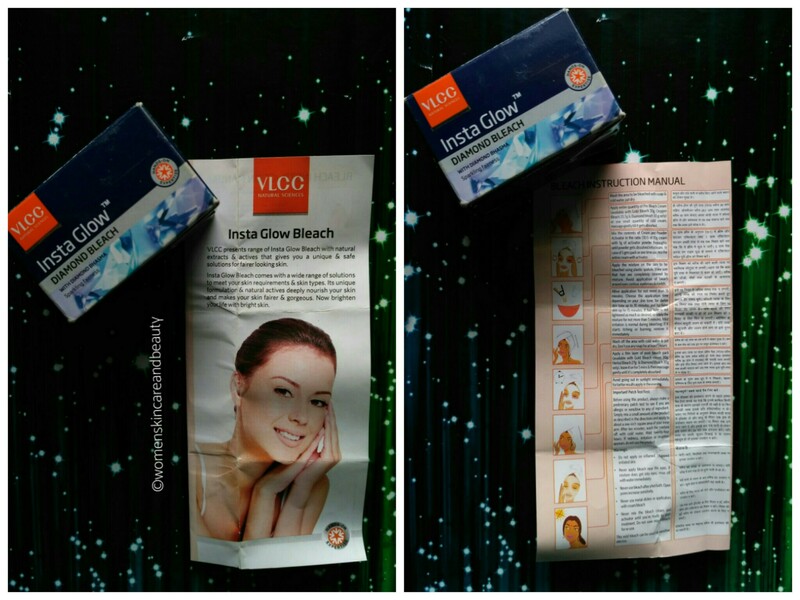 I was wondering that vlcc bleach be costly but it’s just 35 rs And that’s quite okay, going to try it once! I always try to avoid such bleach creams for my face. More use of Bleaching creams make our skin rough and artificial. I like like your honest review on this product also. I never have got good results with vlcc. The bleach too looks average. Thanks for your honest review! 😀 Ready made bleaches are a permanent skips for me anyways!